This entry was posted in Comments about Cycling on May 14, 2016 by Steve Tilford. It is so funny how some days you have it and some you don’t. I think as I age the fluctuations become more exaggerated. I’ve been feeling okay riding recently. Training that is. I haven’t raced for a couple weeks. But this morning I woke up like I stayed up all night partying. I’m not sure why that is. I did drive 8 hours yesterday and the temperature changed from the 80’s to the 50’s, but that usually isn’t an issue. I do feel a lot more allergies here in Kansas than I had experienced the last week, but that is something that is normally less abrupt. Anyway, it is what it is. I have already registered to race a criterium tonight, then a road race tomorrow, outside of Omaha Nebraska, so now I’m feeling a little stressed. I don’t skip races unless I’m sick or hurt. I am pretty sure neither of these apply. I was looking forward to it this past week, getting in some faster, more intense pedalling, but now I’m not so sure. It is around 3 hours to the race tonight and it isn’t until 7, so I have a few hours to get ready. I’ve only been home less than 24 hours, so it is a quick turn around. Just enough time to watch some clothes, restock Tucker’s bag and head back out. Maybe I planned it a little too rushed, I guess I won’t know until after the weekend. I just finished watching the Giro’s finish. I like the gravel sections that they are throwing in every once and awhile in Italy. Makes it a little more interesting than that of teams just setting tempo and protecting the jersey. Okay, I need to try to get rid of a squeak on my bike and then go get some diesel for the van, so I’d better get moving. 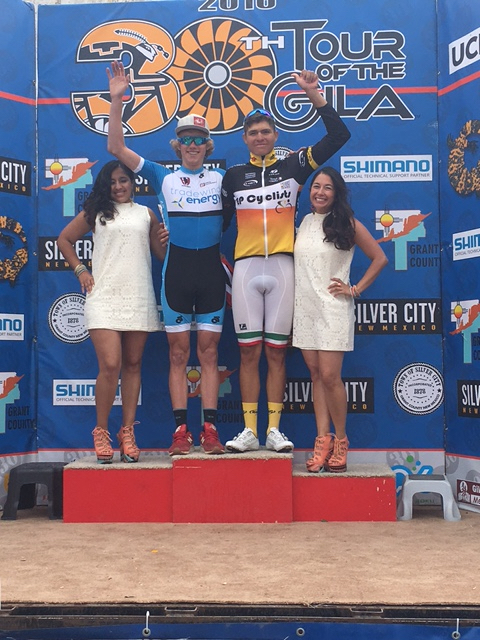 The is a photo of Alex Hoehn from the Tour of Gila last week. Alex finished 2nd overall in the 1/2 race, which was a super result. He is going good this season. He just turned 18 in December. 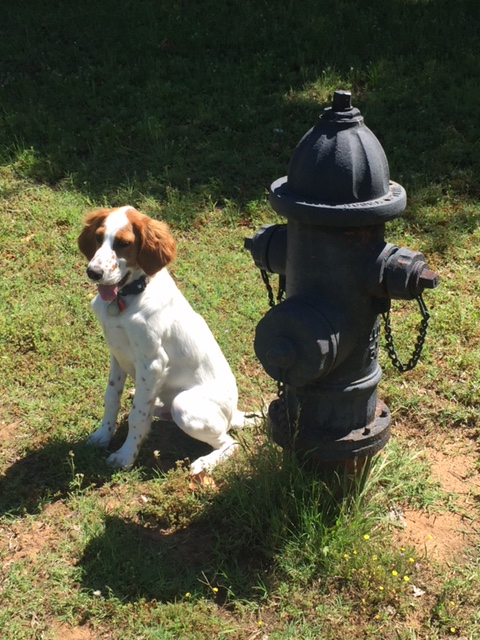 Sometimes Tucker seems like he is grown up and other times like a puppy. This was at a rest stop in Oklahoma. Maybe you should try partyingall night, and see if you wake up feeling like you’re ready to race? Maybe it’s time to get a job.